Our 235 Dorado showcases our NuV3 fuel efficient hull technology which affords you tremendous savings throughout your ownership. Loaded with family-friendly fishing features, this model comes standard with full transom Esthec swim platforms with ladder, a port side fold down seat with folding table, fully cushioned bow seating and a stern seat in the transom among other features. An optional fiberglass hardtop is also available. 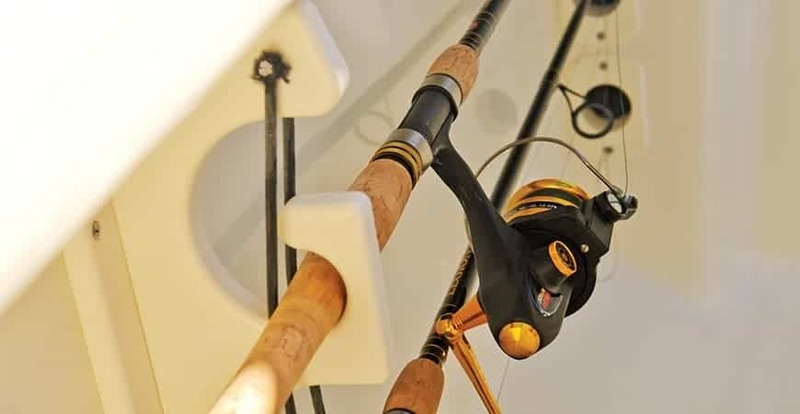 Conveniently store your rods away while heading to your fishing spot, and then easily access them when you’re ready to drop the lines.